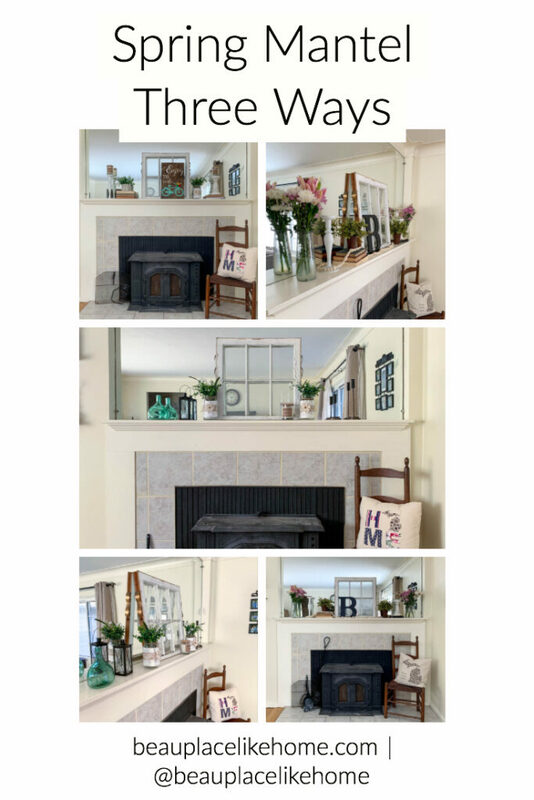 I’m so excited to bring you my Spring mantel styled three ways! 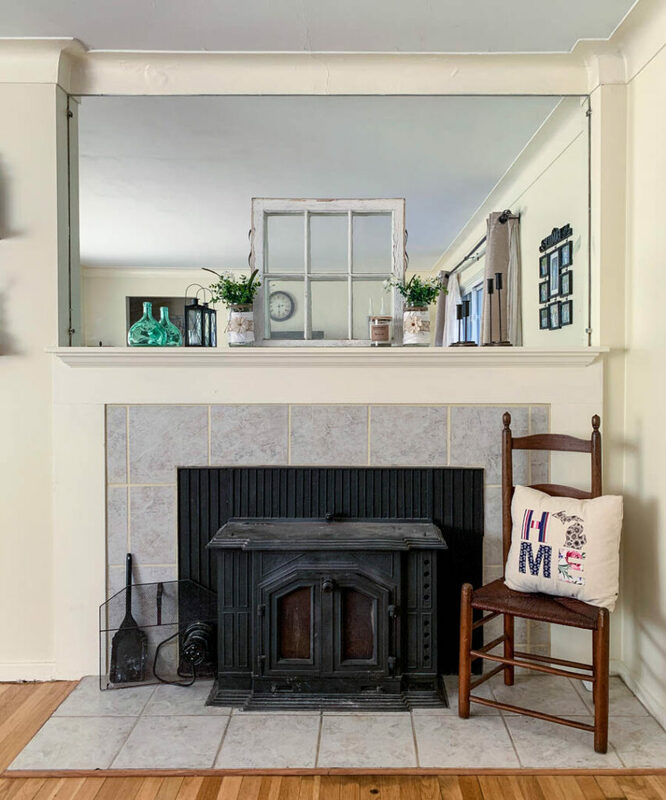 But first, we need to settle the mantel vs. mantle debate. 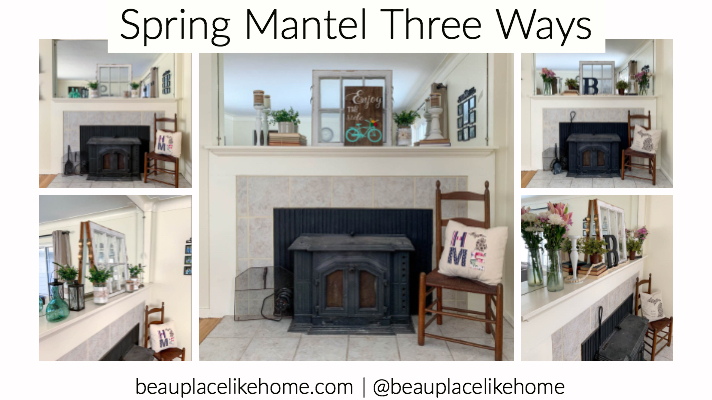 If you have ever scrolled through Instagram around Christmas season, you will see some creative people using the word “mantle” and others using “mantel” to describe the area above their fireplace. Well, according to Merriam-Webster, either is fine! So, if it’s alright with you, let’s get to it! This post contains affiliate links. Click here to view my disclosure policy. 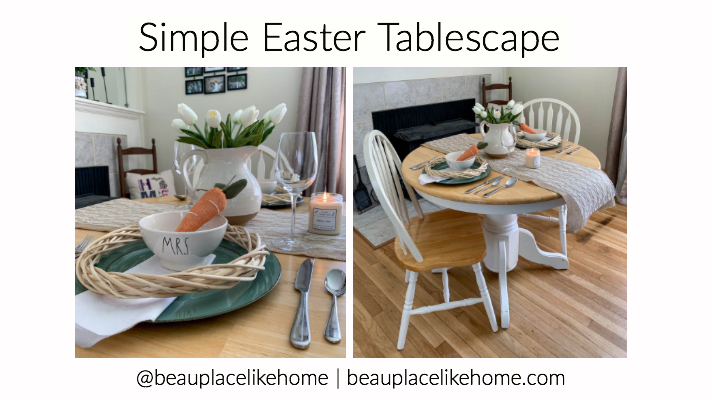 I love mixing things up in the house, sometimes even multiple times in one season. That’s exactly what happened this Spring. 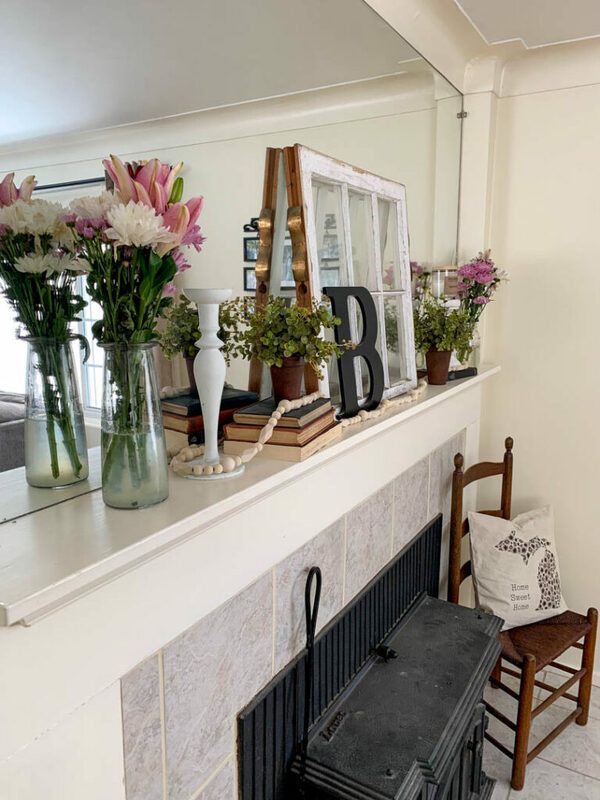 This was my fist attempt at a Spring Mantel. The old window was from a house my dad bought and fixed up. 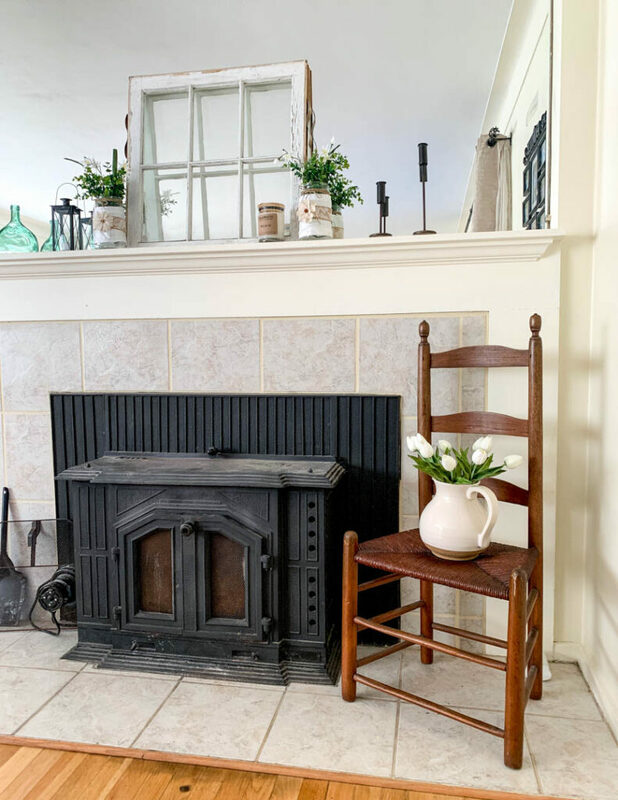 It has the perfect amount of chippiness that is perfect for my farmhouse style. I love to use this window to anchor my design, and you’ll see it in the rest of my shots as well. 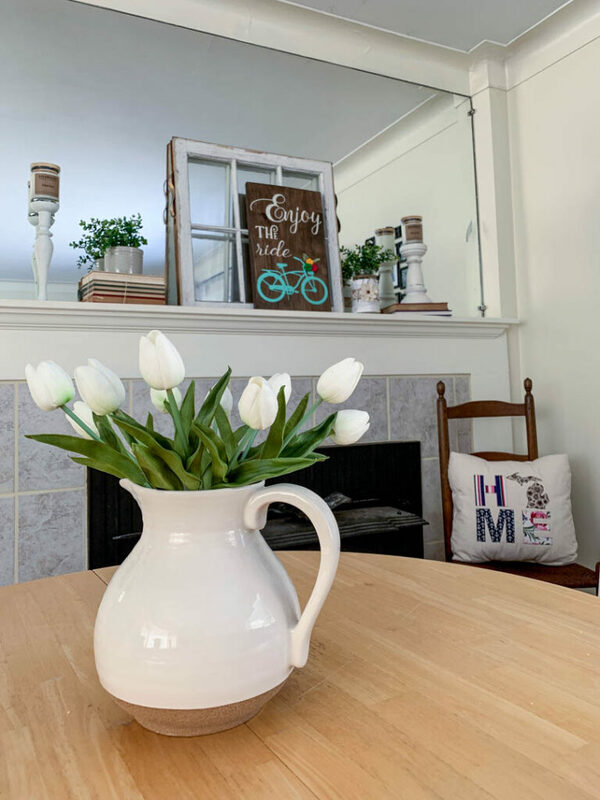 Because Spring is the season when everything grows, I definitely wanted to bring in some greenery and fresh flowers. These flowers were actually from my husband for Valentine’s Day! I think Baxter approves of this setup. My next design is very similar, but just a little decluttered. I removed some of the extra florals and swapped the greenery out for something a little lighter (I found mine here on Amazon). 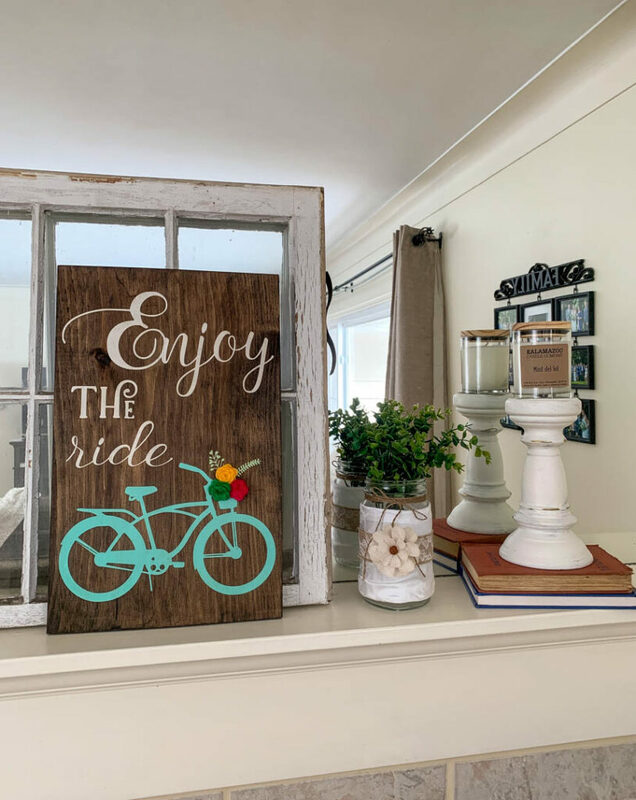 I made the “Enjoy the Ride” sign from a little shop called Make Studio here in Kalamazoo. If you’re local, I highly recommend them! Did you see the close up of that chippy white window? Oh I love it! For this design I also kept the antique books and candlesticks, because I like the dimension they bring. And remember these tulips?? I raved about them in my Super Easy Peanut Butter Cookie post, and here they are again! Nothing to me screams “Spring” like tulips! This is my last, and current, mantel design for the spring. 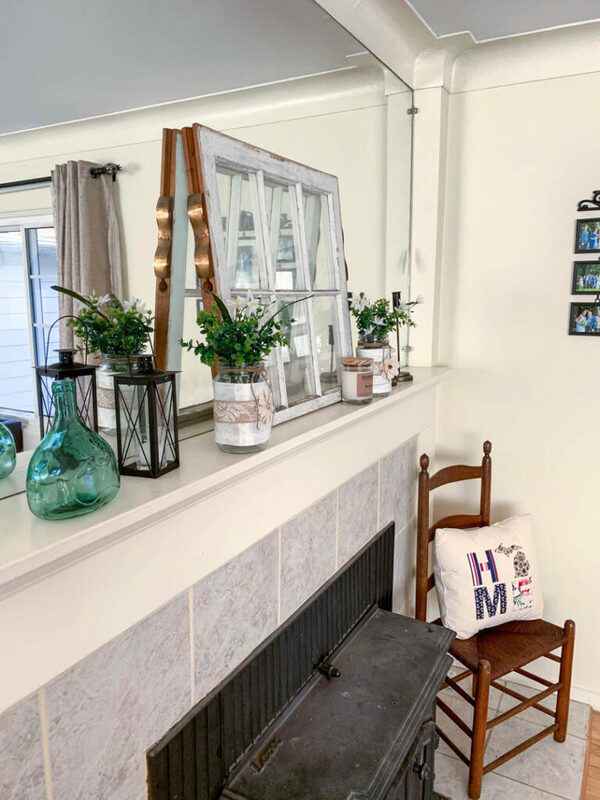 I decided to switch up my mantel again when I got these adorable black candlesticks from my Instagram friend Dana, over at @danainbuckscounty. 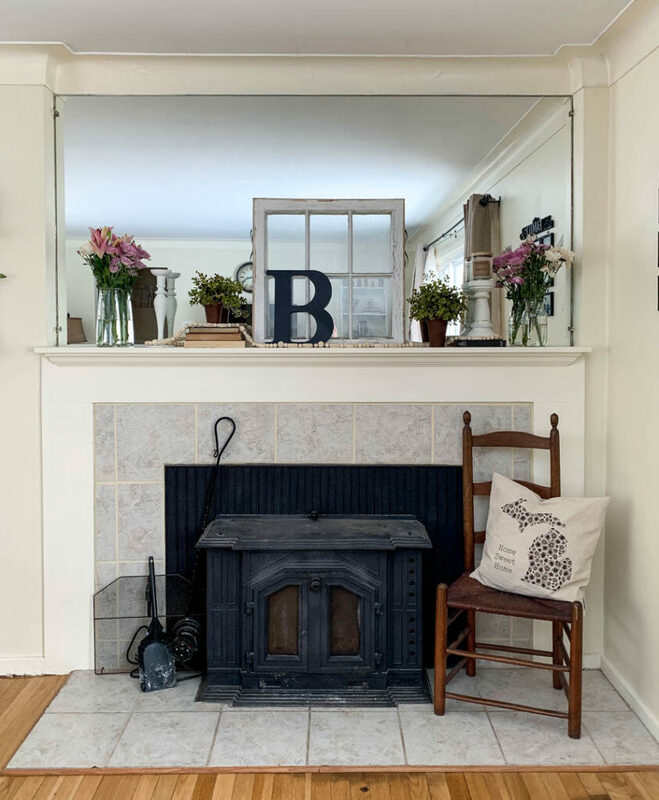 Their simplicity pushed me to redesign my mantel, in the simplest way possible. I removed some of the bulky items such as the chunkier candlesticks and the antique books. I balanced the old window with my new, skinnier candlesticks and kept the black theme going with my small lantern (find similar here). It felt like a little more color was needed, so I used a green glass bottle that I found in a local antique store to brighten it up. So there you have it! 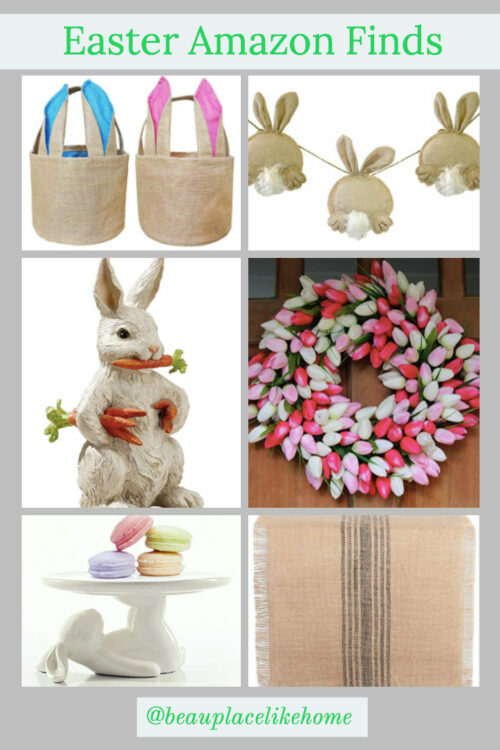 Three different ways to style up your spring mantel. And who knows, maybe I’ll switch it up again and have to edit this blog post to include a fourth way! 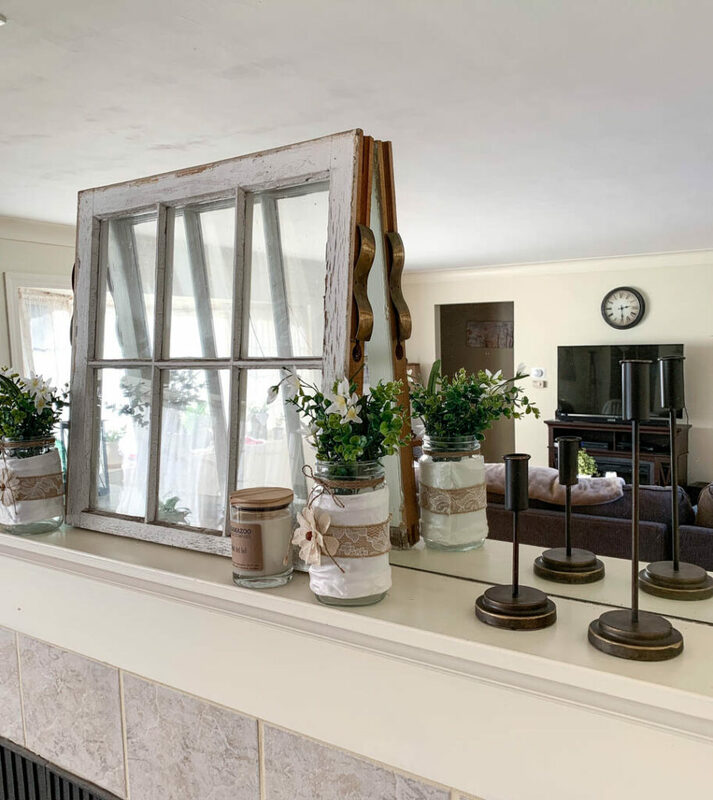 So tell me, do you like to switch up your decor regularly? Head on over to my Instagram page to chat, or leave a comment below! All three are so pretty, its hard to pick which one I like the most! Thank you! 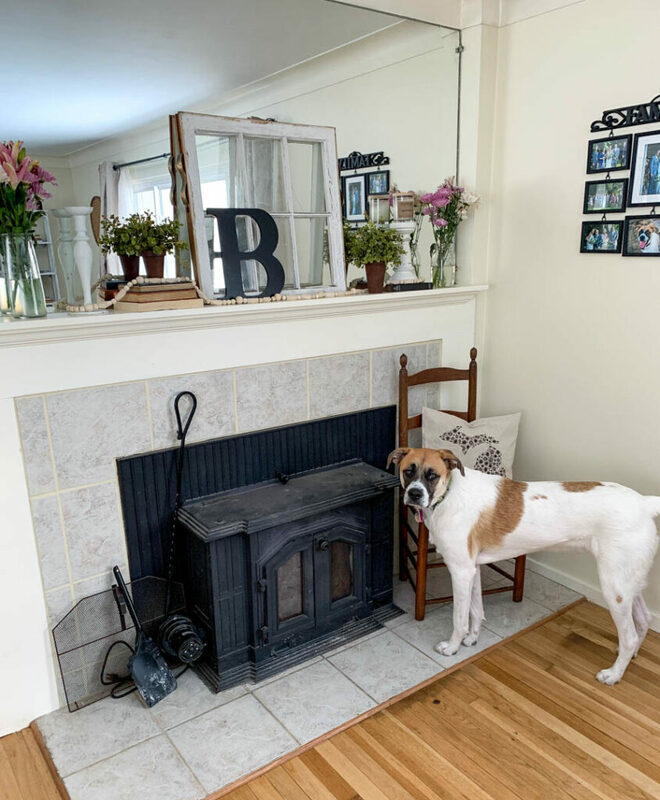 Bax always somehow steals the show around here… he thinks he’s a model! Hello! My name is Lindsay Beauchamp. 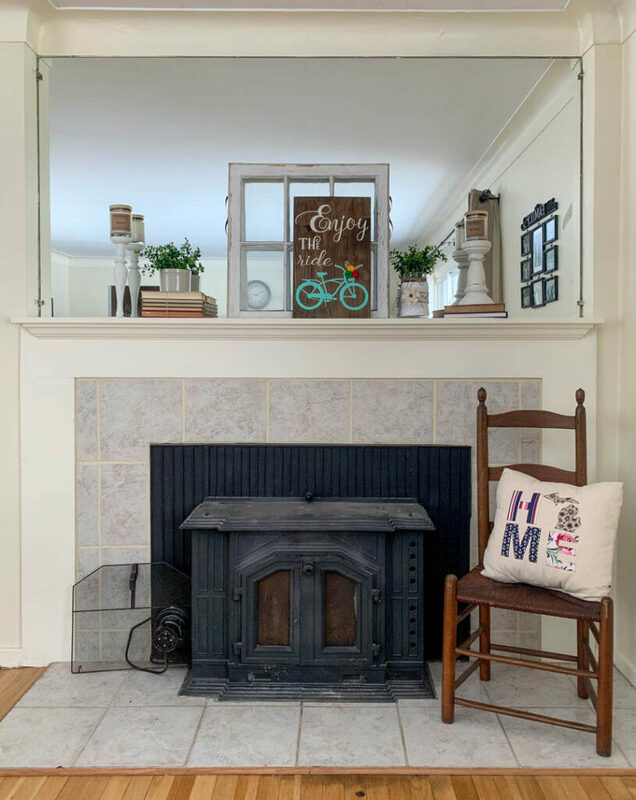 I love decorating and making our house into a comfy, cozy, love-filled home. 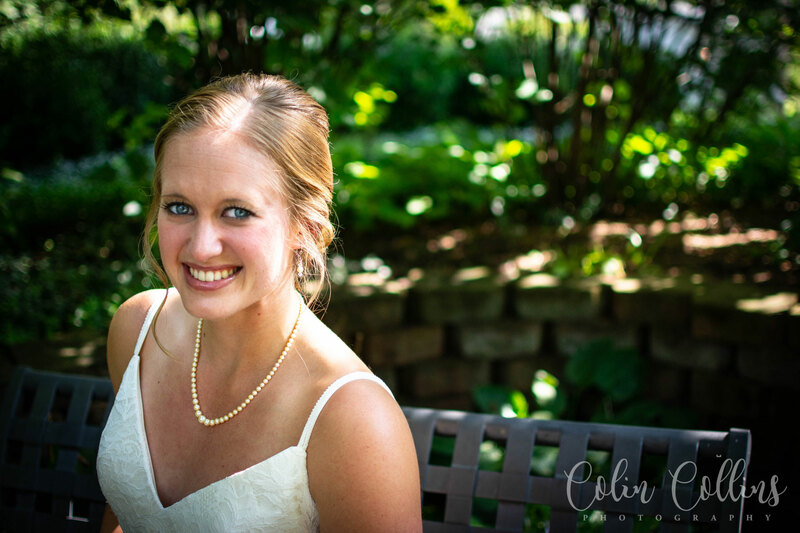 I’m excited to share inspiration and ideas with you! Would you like to be notified of new information and posts? Subscribe now to stay up to date.